Welcome to The 'X' Zone Radio Show.... a place where Fact is Fiction and Fiction is Reality where Canadian broadcaster and media personality, the host, creator and executive producer, Rob McConnell has been at the helm of this Internationally syndicated terrestrial radio and satellite programming since 1991 and broadcasting/producing TV programming, commercials, and special since 1981. Topics that are discussed with those that Rob interviews from around the world include: 11:11, 2012, 666: The Number Of The Beast, 9/11, Alien Abduction, Aliens, Angels, Apocalypse, Astrology, Atlantis, The Bible, Chinese Astrology, Conspiracy Theories, Cosmology, Crop Circles, Cryptozoology, Crystals, Demonology, Dreams And Dream Interpretation, Electronic Voice Phenomena, End Times, End-Time Prophecies, ESP, Exorcism, Extraterrestrial Communication, Fairies, Forbidden Knowledge, Ghosts, Government Cover-ups, Hauntings, Herbalism, Kennedy Assassination, Kirlian Photography, Life After Death, Lost Tribes And Civilizations, Mind Over Matter, Near-Death Experience, Nostradamus, Numerology, Occult, Ouija Boards, Palmistry, Paranormal Hoaxes And Frauds, Paranormal, Parapsychology, Past Life Regression, Precognition, PSI, Psychic Phenomena, Psychic Phenomenon, Psychic Surgery, Raelians, Reincarnation, Remote Viewing, Sacred Geometry, Science Fiction, Séances, Shadow People, Shamanism, Spiritualists, Tarot Cards, The Apocalypse, The Bermuda Triangle, The Dalai Lama, The Dead Sea Scrolls, The Michigan Triangle, Time Travel, UFO Crashes, UFOs, Unsolved Mysteries, Vile Vortices, VooDoo, Wicca, Zombies and much more! Over the years, Rob has interviewed more than 3,900 guests - an entire list can be read at http://www.rmmcpublishing.com/media/. 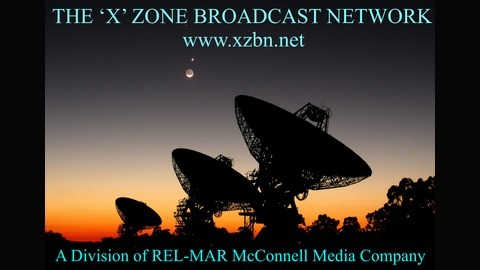 A list of 'X' Zone Radio Show Guest Comments can be read at http://www.rmmcpublishing.com/guestcomments/. 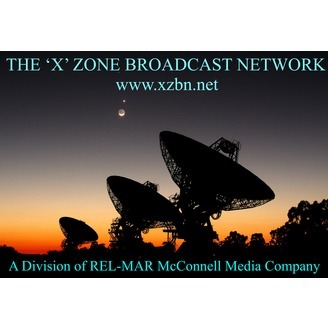 For more information on The 'X' Zone Radio Show with Rob McConnell, visit www.xzoneradiotv.com and to find out when you can listen to The 'X' Zone Radio Show, visit www.xzbn.net. THE MOTHMAN - In West Virginia folklore, the Mothman is a legendary creature reportedly seen in the Point Pleasant area from November 12, 1966, to December 15, 1967. The first newspaper report was published in the Point Pleasant Register dated November 16, 1966, titled "Couples See Man-Sized Bird ... Creature ... Something". The national press soon picked up the reports and helped spread the story across the country. The Mothman was introduced to a wider audience by Gray Barker in 1970, and later popularized by John Keel in his 1975 book The Mothman Prophecies, claiming that there were supernatural events related to the sightings, and a connection to the collapse of the Silver Bridge. The Mothman is the subject of regional folklore and popular culture. The 2002 film The Mothman Prophecies, starring Richard Gere, was based on Keel's book. An annual festival in Point Pleasant is devoted to the Mothman legend. AND THE THUNDERBIRD - The thunderbird is a legendary creature in certain North American indigenous peoples' history and culture. It is considered a supernatural being of power and strength. It is especially important, and frequently depicted, in the art, songs and oral histories of many Pacific Northwest Coast cultures, but is also found in various forms among some peoples of the American Southwest, East Coast of the United States, Great Lakes, and Great Plains.